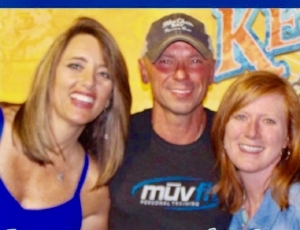 Tune on in with KMOVE Radio chatting about Kenny Chesney with Connie and Michelle of Welcome To The Sandbar! Although Clay and I haven't had a chance to experience Kenny's Sandbar, we sure can enjoy Welcome to the Sandbar's stories, videos, pics, podcasts and of course the meet and greets they've encountered with Kenny!!! !